Our Amish Kimbolton Lounge Chair features mission style paneled sides, curving arms, strong square-shaped legs, and black inlay details. 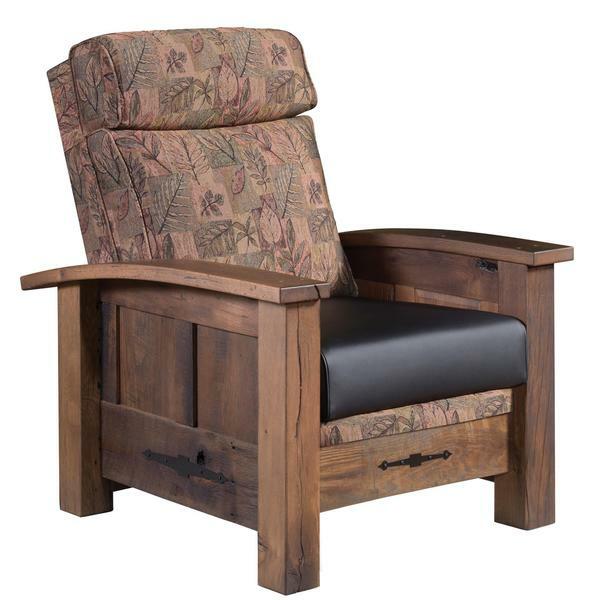 Shown in beautiful reclaimed wood for a rustic touch, this lounger can be made from quartersawn white oak, cherry, red oak, brown maple, rustic cherry, or a combination of character walnut and ambrosia. Inner spring seat cushions will keep you comfy while you relax with a cup of coffee and your Kindle. Also available in a recliner version.